The Binance cryptocurrency exchange has not been planning to enter the South Korean market and other countries that have not decided on legislative regulation of the digital asset market. This was announced by the CEO of Changpeng Zhao at a conference in Seoul, Coindesk Korea writes. Zhao stressed that they are ready to cooperate with jurisdictions that have established strict regulatory requirements for the cryptographic market if the authorities of the country are interested in distributing blockchain technology. According to the CEO of Binance, the growing competition in the industry one way or another will entail the interest of governments in cryptocurrency. 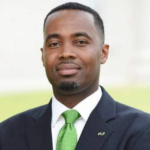 “We cannot predict accurately when banks or authorities will change their attitude. But now changes are taking place not only in Asia, but also in Europe, Africa and the USA, ”he added. 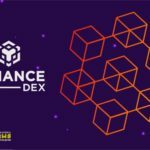 Recall that the launch of the mainnet of the decentralized exchange Binance DEX should be held before the end of April. Also this month, the launch of a crypto-fiat platform Binance Singapore is scheduled. The Binance cryptocurrency exchange was created only two years ago, but during this time it was able to become the leading trading platform with trading volumes of more than 350,000 BTC, according to the Coinhills analytical source. The company's head office is located in China, but the project supports users from all continents of the world. The company is constantly expanding its activities and not only geographically, but also functionally. 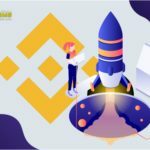 Recall that in the beginning of the year the exchange added a section for ICO fans called Binance LaunchPad, and today on Twitter the company announced the launch of the decentralized Binance trading platform at the end of this month. © 2018 bit.news | queries 217, for 0.161 sec.